Last week, the Abraham Fund launched a new “Arabic language and culture initiative” that aims to increase the presence of Arab voices and issues in mainstream Israeli media. The project was kicked off with three Arabic language and culture courses for more than 110 Hebrew speaking journalists, editors, and anchors from major Israeli media outlets, including influential figures such as Amit Segal, top political correspondent for Channel 2 News, Or Kashti, Education and Social Affairs Editor for Ha’aretz, and Maya Wolf, host of a popular TV morning show on Channel 10. Besides the Arabic language and culture courses, the Abraham Fund will summarize and translate articles from Arabic media in Israel into Hebrew language which will be compiled as monthly briefings for Members of Knesset and other Hebrew speaking opinion leaders. 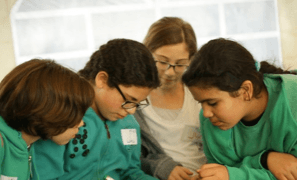 An additional component of this campaign is a series of field trips to Arab villages and localities that will provide Hebrew speaking journalists with first hand experiences on key issues facing Arab citizens in Israel. 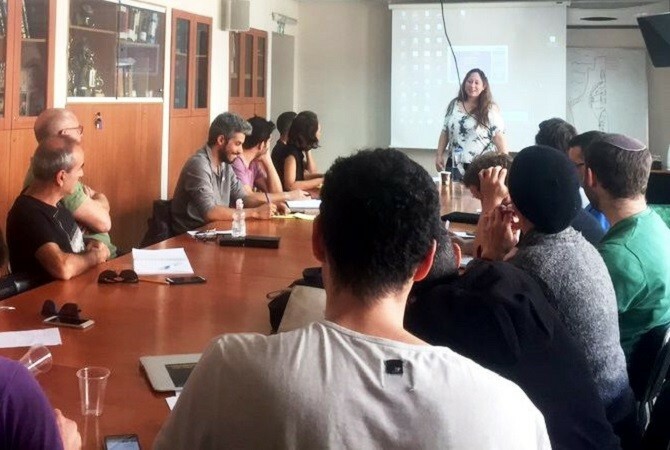 Furthermore, to address the lack of Arab experts with the authority and ability to comment on events, the Abraham Fund, is working to increase placement of Arab professionals in the Israeli media on issues that are not related to the Arab sector. With this comprehensive campaign, the Abraham Fund is seeking to foster a more accurate depiction and integration of Arab citizens of Israel in mainstream media, whether as sources or journalists. A recent Sikkuy study on representation of Arab citizens in Israeli media has found that depiction of Arab citizens especially on subjects that are not only related to security and crime but go beyond matters related to Arab society, has a direct effect on the ability of the Jewish public to see their fellow Arab citizens as partners in public discourse and Israeli society in general. This study is part of a parallel project initiated by Sikkuy over the past months that also aims to increase visibility of Arab speakers in the Israeli media, as well bringing issues of concern to the Arab sector into the public sphere. This project involves, for example, monitoring the total numbers of Arab speakers invited to talk on prime time TV and radio shows in order to enhance the outlets’ awareness of their interviewee database diversity as well as assist these media productions to gain access to relevant speakers. (e.g. Sikkuy’s monitoring of the 48 hour Israeli TV coverage of terror attacks in Paris: 48 hours, 23 experts, 2 women – no Arab experts). An additional component, managed together with ANU is the establishment of an “Arab Source” database of Arab professionals who can be invited as speakers to media programs, national conferences and other public events. According to the Sikkuy study, while Israeli-Arabs make up 21% of the population, recent studies have found that only 2% of all published material in the Hebrew media makes references to Arab society. Within this 2%, nearly 39% is connected to security issues and another 34% to crime and violence. 58% of Arabs polled in this study voiced the opinion that the Hebrew media does not represent them at all, and many prefer satellite broadcasts from other Arab countries to local news and political programming. 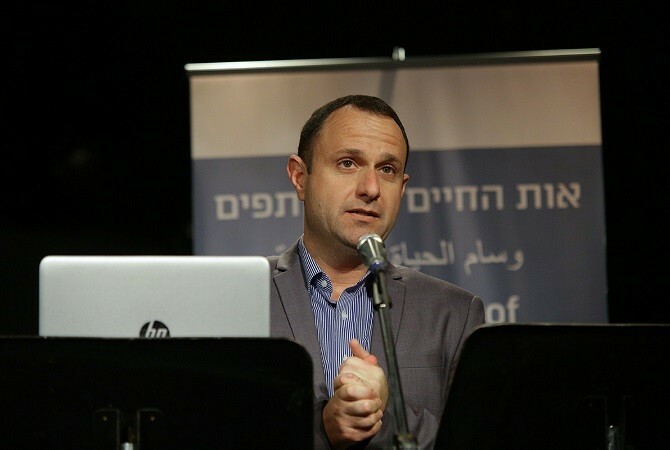 By increasing journalists’ access to information concerning Israel’s Arab society and its challenges, the Abraham Fund anticipates an increased and improved portrayal of Arab society in Israel’s Hebrew media outlets, and thus a more significant integration and greater trust of Arab citizens in the Israeli media.